Jan has worked for Optima Care for over 13 years joining the company as a Registered General Nurse at The Leonard Elms Care Home Jan soon progressed to the position of Deputy Manager and in 2017 achieved the position of Registered Care Manager. Jan has led the homes care team through a period of change management and service development that has taken the homes position - to a home of distinction recognised as a regional provider of good quality specialist care. With over 40 years of experience in healthcare Jan can draw upon a stable of NHS Hospital, Community and specialist areas of clinical expertise. Jan has particularly specialised in the area of older peoples nursing services, and is passionate about person centred dementia care. Jan has worked hard to develop her managerial skill base to ensure her leadership is responsive and flexible focused on meeting the needs of her clients, families, staff and the company who employs her. 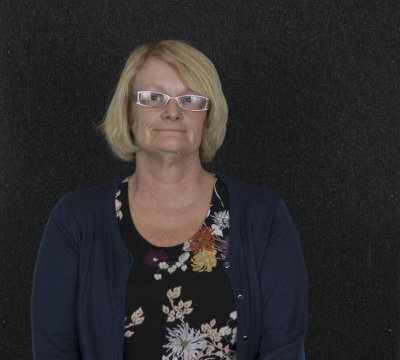 Jan recognises the importance of a collaborative approach to care to ensure the highest standards of provision are met and has developed an awareness that equips her for the challenges and responsibilities each and every day brings in the home. Jan was born in Somerset and spends as much time as she can with her daughter and supporting her grand children. Jan loves reading a good book and switches off by cooking a good meal for the family.